Srinagar: The militant killed in a gunfight in Pulwama on Tuesday morning was identified as Hilal Ahmad slias Ukasha, a resident of Gandibagh Kakapora in Pulwama district. Hilal was affiliated with militant outfit Jaish-e-Muhammad (JeM). According to a police official, two army men including a para commando were also killed in the gunfight while another has suffered injuries. Kashmir Reader quoted local sources saying that two militants have reportedly escaped from the gunfight site. The gunfight broke out after a joint team of army’s 50 RR, 10 Para, Jammu and Kashmir Police and other paramilitary forces laid siege to the area and started a search operation. The operation was launched after specific inputs about the presence of militants. 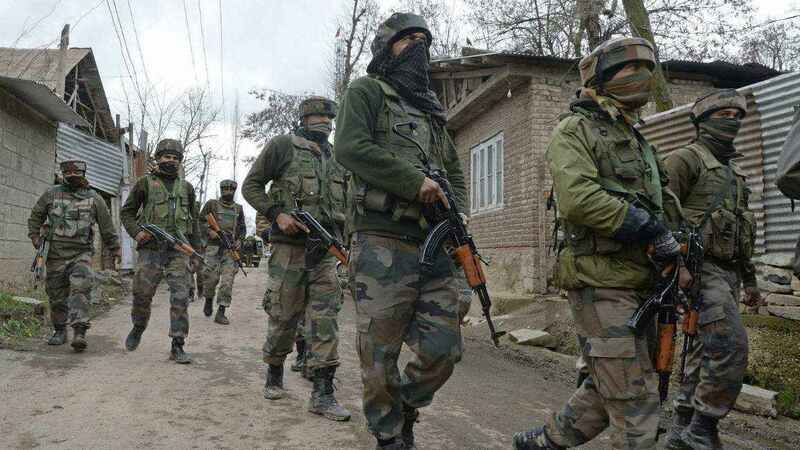 The official said that as the operation closed in around the suspected house, the hiding militants fired at the forces leaving three army men injured. The injured were shifted to army’s 92 base hospital at Badamibagh in Srinagar. “Two of them including the commando succumbed due to critical injuries,” he said. The killed army men have been identified as Sepoy Baljeet Singh and Naik Saneed of 10 Para while the injured has been identified as Hawaldar Chander Pal. Intense clashes erupted in the area following the gunfight. According to reports, local civilians took to streets and pelted armed forces with stones who retaliated using tear smoke shells and pellet fires. The authorities further snapped the mobile internet services in the district while train services on Srinagar-Banihal track also remained suspended.